This one may spark some controversy: plenty of people love Chicago, but that doesn’t mean they should live in this town plagued by long commutes, foreclosures, a lagging housing market, high dropout rates, even higher gas prices, and a serious gun violence program. In other words, drop by for a visit, but don’t plan on sticking around. For these reasons and so many more, Chicago garnered the #4 spot on Forbes’ list of America’s Most Miserable cities. Fleers are most definitely not alone; in fact, Forbes reveals that Chicago boasts the 6th highest external migration rates out of the country’s 200 largest metro areas meaning if you do finally get the memo and decide to blow out of the Windy City, you’ll be in good company. Car lovers have even more reasons to run from Chicago — the city is widely known for its parking problems, and has been named the nation’s worst place to park, in terms of everything from low availability to exorbitant costs to frequent fines, according to the number crunchers at NerdWallet. Car lovers in general beware: Chicago has a 33.4 percent higher rate of motor vehicle thefts than the rest of the country. Unless being carjacked is your idea of a good time, stick to the L.
Chicago isn’t exactly known for its warm, friendly residents either. In fact, Chi-town was declared by the Princess Cruises Life Balance Barometer as the country’s most stressed out city based on a national survey. Residents have plenty to be unhappy about — complaints range from pervasive government corruption to high sales and gas tax. Sure, Oprah loves it here, but that’s not enough to make us want to stay. 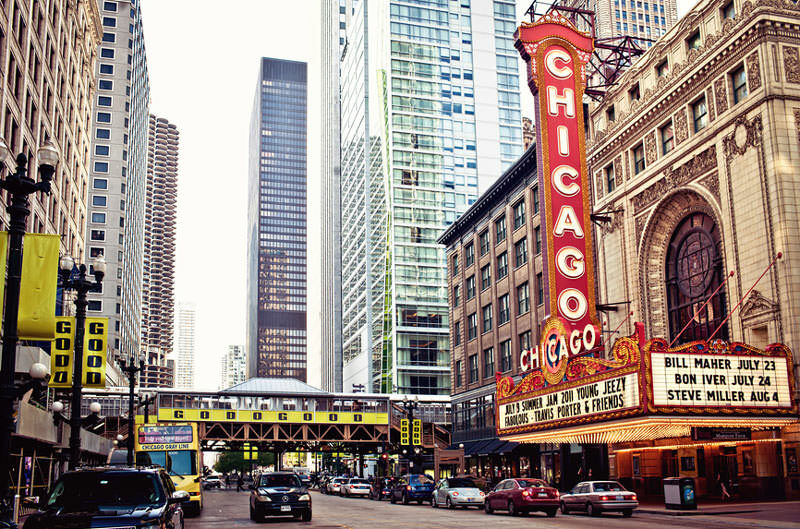 However, when compared to the next city on our list, Chicago might not be such a bad choice after all.